Landing pages are used to capture leads, in the form of email addresses, from a specific marketing stream. Typically they consist of a short paragraph, a list of bullet points, and a contact form. In most landing pages the design doesn’t match that of your site and there is no navigation. Landing pages can also be used within your website to display a specific offer such as an eBook. They’re very important for marketing and they usually have a much higher conversion rate than your normal pages. Convinced you need one? 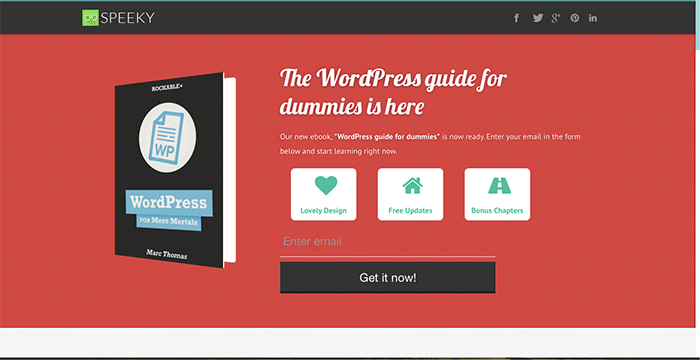 In this article we’ll teach you how to create landing pages using WordPress. You can use just about any theme to make a landing page in WordPress because most themes come with a “blank page” template. However, this isn’t really the best choice. It’s better to find a theme specifically designed for landing pages and work with the tools provided by it. Below we’ve outlined several themes that will make it easy to create landing pages with WordPress. Just Landed is Themforest’s top selling landing page theme. It’s definitely a good choice, and you can use it for more than just landing pages. 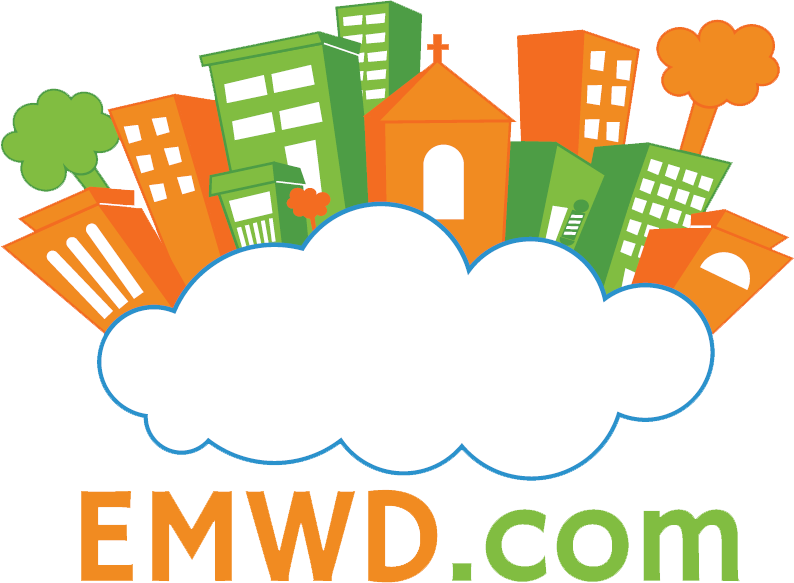 It comes with support for images, sliders, and videos on your highly customizable homepage. This theme also boasts unlimited color schemes and support for over 500 Google fonts as well as support for WooCommerce, Mailchimp, and Aweber. Permatex was designed with lead-generating landing pages in mind. Permatex is a versatile full theme with instant side-to-side preview. Also included are two homepage variations, a lead generating form, and a iPad slider. You’ll also get unlimited color combinations with 12 color pickers as well as 11 hand-picked Google fonts. The design is also responsive, so it will look great on mobile. Flatone is a one page landing page theme. Flatone includes support for 369 image icons and over 600 Google fonts. This theme also supports responsive design and unlimited color schemes. Kodax is a theme designed for landing pages focused on displaying products rather than capturing leads. It includes over 600 Google fonts and 350+ font icons. This theme focuses on a beautiful full screen landing page specifically optimized for mobile. You can use any of the 10 included templates to create a unique and powerful landing page. Speeky is a great multi-purpose landing page theme. It includes three templates: one for ebooks, one for apps, and one for other products. The ebook template includes a 3D ebook mockup, and the product template includes support for a video demo. Speeky is easy to customize and features unlimited color schemes so the design is very lively. 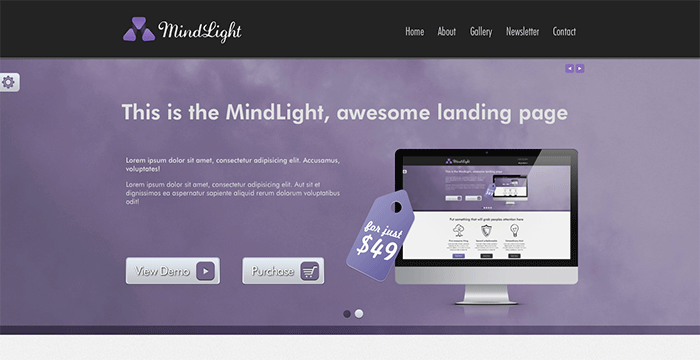 MindLight is a landing page theme for business. This theme is focused on landing pages with a specific offer rather than a lead generating page. Mindlight comes with built-in SEO functionality as well as parallax scrolling. The theme is fully responsive and comes with 5 ready to go color schemes. Themes are a really nice WordPress feature that can provide the framework for your landing page. These themes come with one or more templates which you can customize to create landing pages. If you want you can also create a blank template and start from scratch using the basic version of WordPress, although finding a good theme makes it much easier. We hope you’ve found this list of themes helpful. If there are any great ones we’ve missed feel free to leave a comment. 5 Tips For A Great Email Newsletter How Do Websites Work?